Honda is committed to bringing drivers efficient, affordable, and high performance vehicles that have a minimal impact on the environment. In 2011, they introduced Earth Dreams Technology (EDT), a next generation set of technological advancements that continue to deliver on those commitments to this day with each new vehicle. In some cases, these technological advancements are being implemented in other arms of the Honda Motor Company across the world, but we’ve already started seeing some of these improvements in Canada. The 2013 Accord was the first model available in Canada that incorporated EDT via a 2.4L, 4-cylinder engine and the manufacturer’s first Continuously Variable Transmission. The car also featured Eco-Assist and direct fuel injection, leading the 2013 model to its best fuel economy ever, at 5.5L/100KM highway and 7.6L/100KM city. 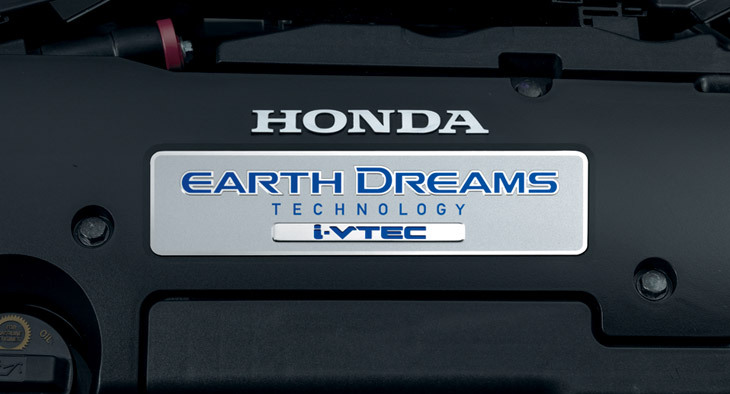 Earth Dreams Technology has been incorporated into other vehicles since the 2013 Accord, with CVTs being available in the CR-Z, 2015 Fit, recent Civics and Accords, and hybrid versions of other popular models arriving in 2014. Future vehicles from the company are also slated to incorporate various aspects of the Earth Dreams Technology, notably the CVT and Eco-Assist features. We’re excited to see Honda’s commitment to the environment put into action through the vehicles we know and trust. And with the advancements that have already been made in fuel efficiency, we know those goals are easily attainable.